Because voltage implies current, pH, electrons, light and oxygen we can now create a grand unification theory that reinforces and strengthens the Natural Allopathic Medicine approach that I have created. Thus, this book (due out early next year) is not just about voltage, it is about these associated factors including color as well as frequency medicine, infrared therapy—all of which can be used in the healing of pain and disease. For the past ten years, I have searched high and low for the most powerful and safest medical therapies, all of which can be found on my Treatment and Product page. Though it has been a task to prioritize them in terms of importance and power it is impossible to make the order exactly right. For many years, magnesium led the list followed by bicarbonate, iodine and selenium. Recently I placed hydrogen in first place. I placed it first because of its small size and ability to get to every spot in the body and because it is mixed with water, which is our most basic nutrient and medicine along with oxygen. However, this book heralds another change and a move to something even smaller. It is a move to the electron itself and to voltage as a straight forward way to diagnose and treat disease. Voltage is life and all life has voltage. The question is—is there enough? Voltage is the cause of life and an absolute lack of it is death. Health is a matter of having enough voltage and sickness increases as our voltage declines so treating with voltage gets right to the point. Voltage implies lots of electrons meaning voltage implies current, frequency, magnetic field as well as pH, oxygen, carbon dioxide and light. The Secret of Light, by Dr. Walter Russel was my starting point 35 years ago, and it was Dr. Jerry Tennant who topped off my education with energy or specifically with electron medicine. Behind these doctors we have Albert Einstein and many other scientists like Niels Bohr telling us that everything is energy. What we perceive as our physical material world is not physical or material at all. There is an obvious connection between energy and the structure of matter. When we talk about electrons and voltage we are led to the border line between the physical universe and the world of light and pure energy—yet the amount of voltage controls pH and oxygen levels so when we talk about voltage we are talking about the body`s physical and chemical existence. All atoms, chemicals and cells produce electromagnetic fields (EMFs). Every organ in the body produces its own signature bio-electromagnetic field. 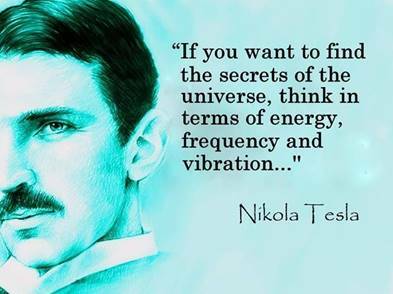 Science has proven that our bodies project their own magnetic fields and that all 70 trillion cells in the body communicate via electromagnetic frequencies. Nothing happens in the body without an electromagnetic exchange. It has been definitely established by physicists, that when a moving electric charge is accelerated or retarded in any way, a wave of electromagnetic disturbance radiates out through the surrounding space. Some electrical devices commonly used in mainstream medicine include EEGs to measure electrical activity in the brain and EKGs to measure electrical patterns of heartbeats. Electrical energy is used to restart the heart when its rhythm is disrupted (defibrillation). Some electronic and electromagnetic devices are approved for medical use, such as the electroencephalogram (EEG), electrocardiogram (EKG), magnetic resonance imaging (MRI) and transcutaneous electrical nerve stimulation units (TENS; see Transcutaneous Electrical Nerve Stimulation). Such devices are used to diagnose heart and certain physical problems. The TENS unit is used to reduce pain by interfering with nerve conduction of pain impulses. Jon Barron presents a way of looking at pH (voltage). Cellular energy production (ATP production) is a vital component fueling our biological existence. When ATP energy production crashes we end up with cancer. Healthy cellular functions involve production of electrochemical reactions, increased local circulation, and enhanced movement of materials (nutrition and waste products) in and out of the cells. Over extended periods, the cells may become deficient in manufacturing adequate levels of micro electricity via ATP. When this happens chronic conditions usually follow and at the end of the line we face cancer. Every cell in the body is designed to run between 20 and 25 mV (millivolts) when it is in a healthy state. If a cell becomes injured or is in a state of repair, the body will boost the millivoltage up to 50 mV, which is required to increase circulation bringing in new proteins and removing the waste. This state is often experienced as acute pain because the body is increasing inflammation while the area is being healed. When cells fall to an unhealthy state, their milli-voltage will drop to 15 mV then even lower to 10 mV or 5 mV; this is what we call a chronic condition. We can resolve the pain or the low voltage of the chronic disease by infusing enough electrons in the area to move the voltage back up to -50 mV so the body can heal itself. Actually, the usual membrane potential (the electrochemical gradient across the cell membrane) is between -40 and -80 mV, negative in the cell interior relative to the exterior. This electrochemical gradient is used for many purposes, from the firing of nerve cells to proliferation, to a number of other functions. The voltage gradient is maintained by utilizing chemical energy in the form of ATP to pump ions against their concentration gradient. Microcurrent directly feeds into this by dramatically increasing ATP (adenosine triphosphate) production. For us humans ATP is the energy of life. For most people it is very hard to alkalinize their systems by only modifying their diets. 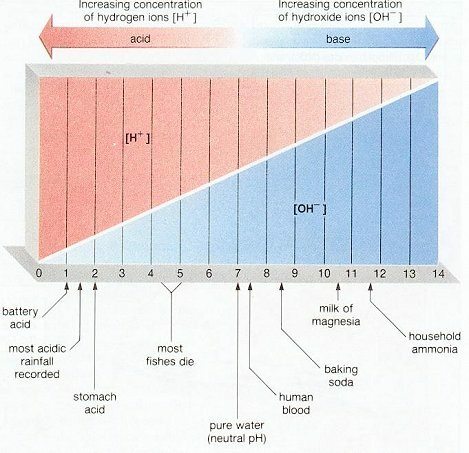 When we discovered that pH is directly tied to voltage, we see that people who do not get well no matter what they do not have is the voltage (energy) to heal. 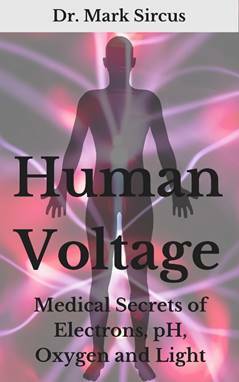 Healing is Voltage is a book by Dr. Jerry Tennant and it presents the importance of voltage—its central process in life and medicine. Adding microcurrent changes electrical fields, modifies the electrical potential of cell membranes and changes intracellular mineral concentrations and cellular energy production by affecting the activity of ionic membrane pumps. Tennant teaches that disease is always associated with a loss of voltage. Problems resulting from continued drops in voltage include chronic pain, a decrease in oxygen levels, and infections. Healing demands that we get enough electrons to push the cells back up to a higher energy or healing voltage. Our bodies and cells also need to have enough raw materials (nutrition) to get better. However, nutrition without voltage does not work and obviously voltage without nutrition will get one nowhere. Green leafy vegetables, Spirulina etc. Fresh air, wind, ocean etc. Thus credence is given to nutritional approaches to cancer such as the dietary program advocated by Dr. Max Gerson and Dr. Johanna Budwig. In order for cells to operate and control electromagnetic energy and chemical energy production, the cell membranes, which covers the cells and the membranes of cell organelles like the mitochondria and the nucleus must be healthy. That is why Budwig emphasized intake of quality lipids because they are so important for healthy cell membranes. Essential fatty acids, phospholipids and sterols act as structural components of the cell membrane. Taking advantage of these resources helps your body to create a pool of electrons. Without electrons, without current, without voltage we are dead so the more charged up the fuller of life we are. Cellular bioenergetics are also enhanced by the use of certain nutrients that help provide structural materials for cell membrane repair and facilitation of mitochondrial enzyme production of ATP. It is also important to notice that low voltage also means that nutrients cannot cross the cell membrane and wastes cannot leave easily. If the tissues are drowning in waste and cannot utilize vital nutrition, they cannot perform correctly and eventually degrade. Once voltage is restored to the tissues, the intercellular pump starts working, nutrients enter cells and wastes leave, the cells’ pH becomes balanced, the oxygen supply to the tissues improves, and inflammation decreases. In short, you have optimal cell function. It serves healthcare practitioners to know that adding oxygen and increasing alkalinity at the same time insures positive outcomes. Liu et al., 1990; Blank, 1992.